Specialised and general office copy, fax, scan and print is consolidated on one multifunction printer supporting labels, heavy media, recycled media and specialty forms. 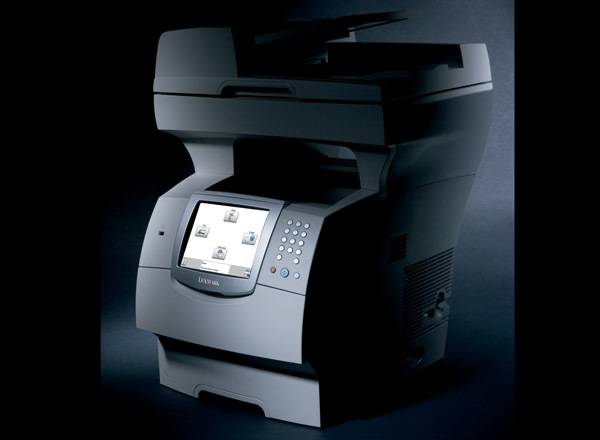 This MFP can be easily tailored to an array of business output application needs through the selection of input paper handling options, wireless or fibre network connections, and unique optional application solutions for PDF, IPDS, bar code, PRESCRIBE or encrypted data printing. Customisable and easy-to-view, large, vivid, well-spaced, familiar icons on the Lexmark e-Task 8-inch (20 cm) colour touch screen provide access to print, copy, fax and scan-to-email functions. Graphical 'Show Me' assists in keeping the MFP up and running. Supports direct printing (without a PC) of PDFs and image (TIFF, JPEG, HTML, gif, bmp, png, pcx and dcx) files from a USB flash drive using the convenient USB Direct interface on the operator panel. 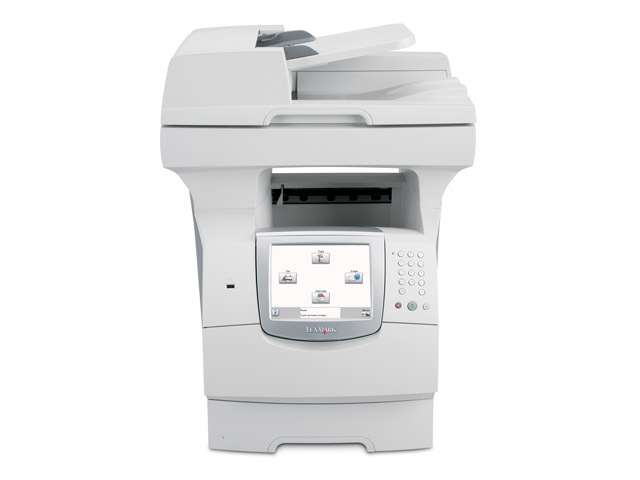 Or scan a document and save it to the USB Flash drive as a PDF, TIFF or JPEG.